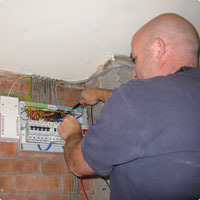 Established in 1999, Blackbrook Electrics are a small electrical contracting company. Operating in the East Midlands area, we undertake all forms of domestic, commercial, and light industrial installations, maintenance and testing. Priding ourselves on offering a modern approach with old-fashioned customer values, we have established a steady customer base built on solid reputation of customer satisfaction. If you are looking for a professional service from start to finish, we can offer you the complete package. we fit your kitchen or bathroom, including all the electrical work, plumbing & tiling, so that you don’t have the task of coordinating various tradesmen. 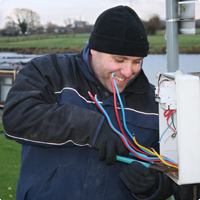 At Blackbrook Electrics, we pride ourselves on giving excellent customer satisfaction. All our work is fully guaranteed so you can be assured that we are fully insured for third party liability. Registered as a domestic installer with NICEIC. Copyright © 2019 Blackbrook Electrics.